Recording phone calls is a pretty straightforward process on Android, but that’s not the case on iPhone. The App Store has some call recording apps, but we haven’t found any that work in India. None of the call recording apps on the US App Store which actually work are free, so you’re going to have to shell out some cash up-front if you want to record phone calls. Now, recording phone calls is a bit of a grey area. We strongly advise against recording a phone call without permission. If you are recording a phone call, always let the person on the other end of the line know that you are doing so. You wouldn’t record a video without permission, and the same basic principles apply to recording phone calls. There are several cases, such as telephonic interviews, when recording a phone call can be very useful. It could even be to record a recipe that someone narrates over the phone or a set of instructions that you know you’ll forget. As long as the other person is fine with you recording the call, you’re good to go. Now that you are ready to record calls, let’s start by talking about a simple hack you can try. When you are on a call on your iPhone, you can just put the phone in speaker mode and use a second phone or a voice recorder to record the conversation. The quality will be poor but at least you will have a recording. If that’s not an option, follow these steps. The only other reliable and free way to record phone calls via an iPhone requires a Mac. Before you begin, check whether your Mac is able to make and receive calls using your iPhone. Your Mac should be on OS X Yosemite or newer, and your iPhone needs to be on iOS 8 or newer versions of the OS. Now, these steps will help you record phone calls on your iPhone via the Mac. Below this, under Allow Calls On, tap the switch next to your Mac so that it turns green and is enabled. Now make sure that your iPhone and Mac are connected to the same Wi-Fi network. Sign in to the same iCloud account on both devices. Sign in to FaceTime using the same iCloud account on both devices. Ensure that your iPhone is near the Mac and both devices have Bluetooth switched on. Now when you receive a call on the iPhone, you’ll see a notification on the Mac and you can answer the call on the laptop or desktop. Similarly, you can even make phone calls from the Mac. 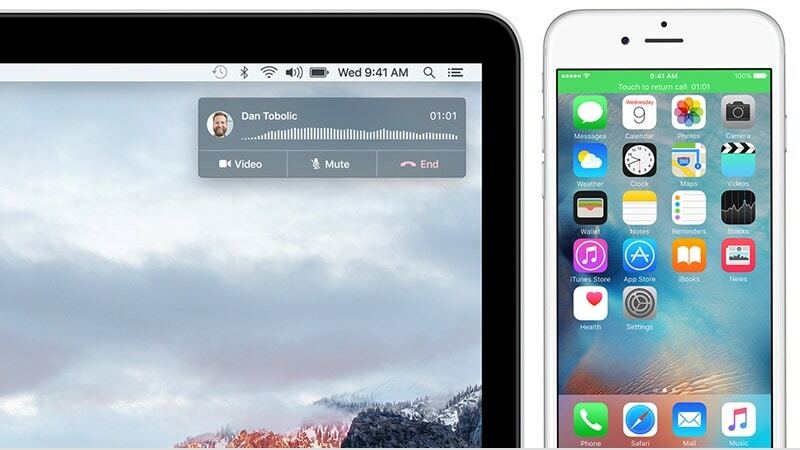 These steps will help you record phone calls via your Mac. Free software such as QuickTime didn’t work to properly record the call. Instead, download Audio Hijack on the Mac. It’s a powerful audio recording app from indie app developer Rogue Amoeba. Audio Hijack costs $49 (roughly Rs. 3,200) but the free trial lets you record for up to 20 minutes in one session. On the left side, you will see three blocks — Application, Recorder, and Output. Click the Applicationblock and select FaceTime from the drop-down under Source. When you’re done recording hit the record button again to stop. You can access the recorded file by clicking Recordings on the bottom-right of the app window. 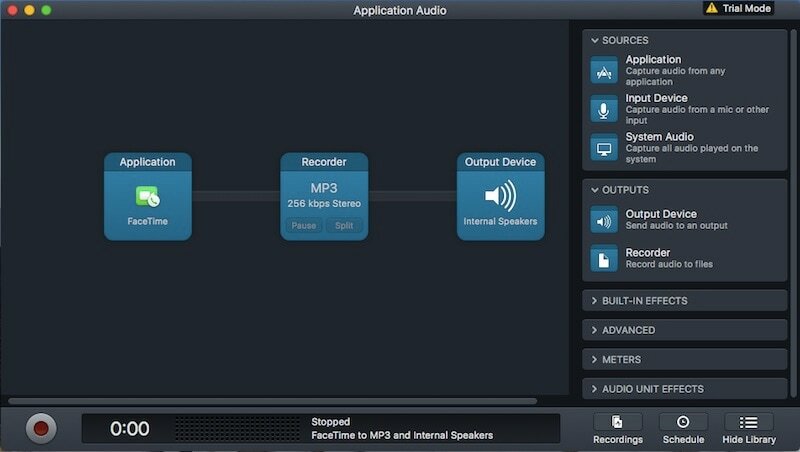 You can record up to 20 minutes for free, but after that the app adds a large amount of noise to the recording. To get around this, you can stop the recording before 20 minutes are up and start a new session and record again. However, if you like the app and are happy with the quality of call recordings, we advise that you support the developer by buying Audio Hijack. This method of recording calls won’t work if you’re not in Wi-Fi range, so it’s best suited for recording when you are at home or in office. However, it works very well if you have Wi-Fi, and the quality of recordings is good too. If you’ve been looking for a way to record phone calls on your iPhone in India, this method is probably your best bet. For more tutorials, visit our How To section.